Jan Smit will be returning to the commentary booth for the Netherlands at the Junior Eurovision Song Contest. Jan Smit will be providing commentary for NPO Zapp this weekend at the final of the Junior Eurovision Song Contest in Minsk, Belarus. This will be the fifth time that he has provided commentary at the competition having taken over from Marcel Kuijer in 2014. Jan is known as a television presenter, DJ as well as member of The Toppers. Who are Max & Anne? 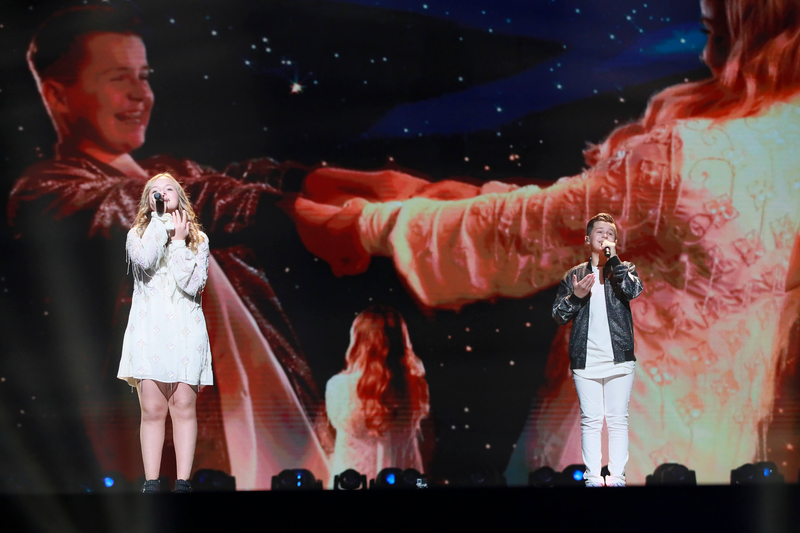 This year’s Dutch entry is made up of duo Max Albertazzi (born 17th August 2004 in Houten) and Anne Buhre (born 31st March 2004 in Voorschoten). Both of the young artists have featured on The Voice Kids in the Netherlands – Max competed in season 6, and Anne in season 7. As well as this, Anne has featured in numerous musicals, including the Sound of Music, Anastasia and De Eindmusical, and Max had attended a singing academy called BLMA until last year. In September, the duo featured in the final of Junior Songfestival alongside three other artists. It was up to the professional jury, the kids jury, and the public to decide on the winner. In the end it was Max and Anne with their song “Samen” that took the crown.